What we know about learning has increased dramatically over the past 20 years through new research into the brain and student learning. As a result schools are becoming a place a lot different to what you or I experienced when we were at school. – Personalised learning—no two individuals learn in the same way, nor do they bring the same prior knowledge to a learning experience. – Socially Constructed Learning—the collaboration peer-tutoring and reciprocal teaching that occurs when students work together results in a deeper understanding of the material being covered. – Differentiated learning—the prior knowledge we all bring to a task means individual’s require different levels of challenge, pace, content and context. – Learning that is initiated by students themselves—typically when a student initiates a learning experience or exploration they learn more. – Learning that is connected to the physical world and authentic contexts—children learn through interaction with others and the physical world. Which is why we believe our Enviro School Journey is so important for all our students. 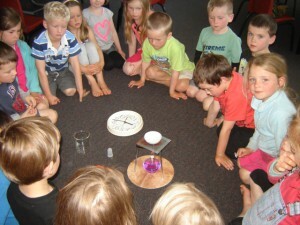 Most of New Zealand’s school buildings were built in a time when direct instruction was considered the only pedagogy that resulted in effective learning. “Factory Style” learning (where all students learn the same things at the same time) has largely disappeared from our a schools. Our classrooms however largely remain as they were originally designed. 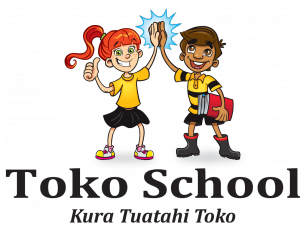 This is a challenge we are faced with at Toko School. Our teachers are trying to create truly modern learning environments fit for the 21st Century but are bound by the small size and design of the classrooms. We are really excited about the learning opportunities your children are involved in at our school. At times the way your children learn and the responsibility they are required to take for their learning may challenge your assumptions and beliefs about how and what should be occurring at school.